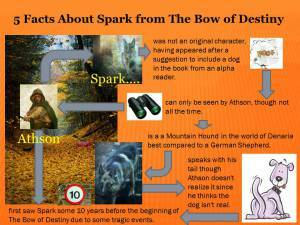 On top of this, Athson also sees other things like Spark, an imaginary mountain hound that’s been at his side since the incidents described in the first chapter. Athson takes an elven concoction called Soul’s Ease to prevent him from having “fits” or seeing Spark. The opening scene gets confusing for Athson because he’s forgotten his Soul’s Ease. The instances of italics in this case are when Athson sees his traumatic past – in present tense. It emphasizes that something different is ongoing within Athson’s awareness. If you – as the reader – are confused, then it’s all good because Athson is confused and you are really deeply into his experiences. However, it’s important to remember that the character point-of-view does not change – only the tense has changed to emphasize Athson’s (in this case) experience has changed. Athson knows that these “fits” give him a hard time differentiating what he sees for days so he assumes things like Spark are not real. However, these seem very real to him and he often gets caught up in them anyway – such as interacting with Spark. So this is another layer to Athson’s point-of-view in the opening scene. As you can see, there are a lot of different aspects to this scene that might get overlooked. However, if you read it again you’ll see the clues along the way. By the way, there are a number of other subtleties throughout the book that you might find interesting on re-reading. Last week, I shared what 5 things I added to The Bow of Hart Saga over the time I was writing the series. This week, I’m sharing what I removed from the series. This one is a bit tougher since I had to think through so many years development. First on the list is a major sub-plot. Once I really re-booted my work on the The Bow of Destiny and the series, I added a major sub-plot where events unfolded in a totally different part of Denaria with different characters. It was pretty good writing but very unnecessary as pointed out by my editor. So, I removed the sub-plot but held onto it for later publication as a single book or a novella series. Hopefully, I can begin sharing some of that in the coming months as the early portions of this could easily be developed into the first two books of a shorter series. Next, I drop ped additional books. 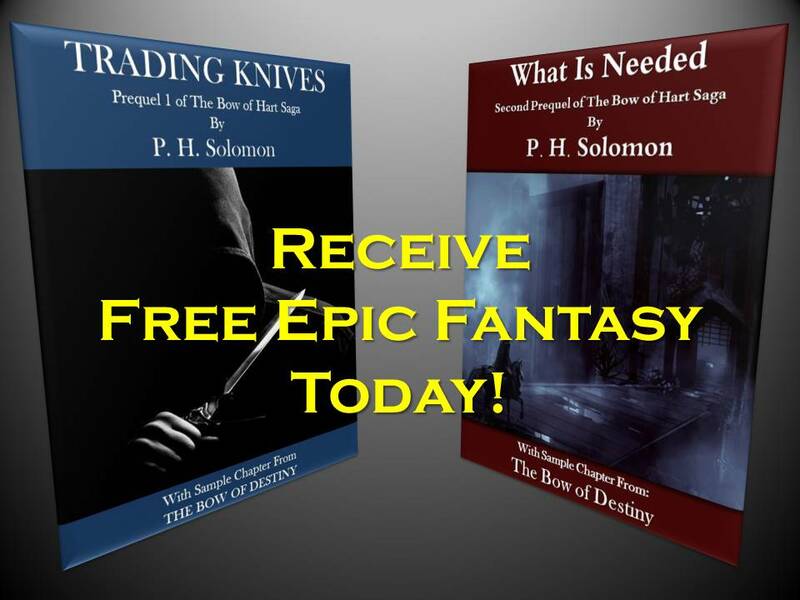 When I first planned the series many years ago, I wanted to write between seven and nine books. I trimmed that notion to five books and then to three. I think three books were enough to cover what was needed (reference to the Withlings intended). The meaning of the Bow of Hart was next to be changed. At first, I intended to write it much differently (no spoiler here) but the more work I put into the current version, the more I knew it had to be twisted. That meant dropping my original intentions and I think that worked out much better. For those who haven’t read it, you need to and you’ll understand. 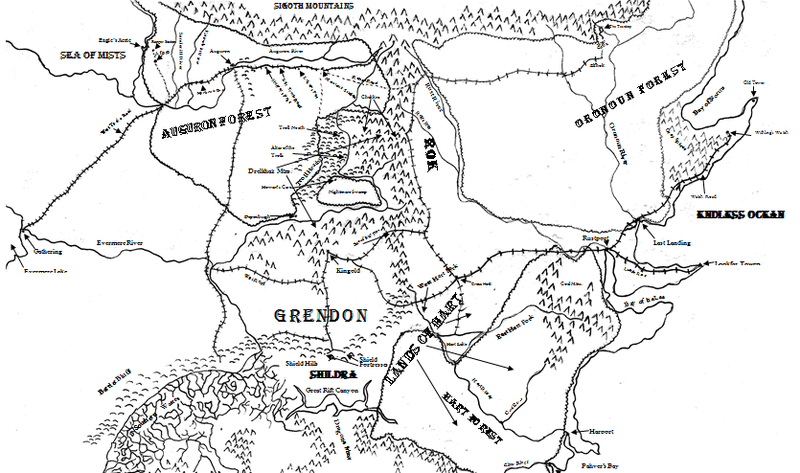 Along with the shift away from more books, the plans I had for a major war in the lands of Shildra and Grendon shifted north which made sense. Fewer books meant less time to move into other lands so I kept the series arc as simple as possible – anything else was pushing too far. I did not get to show events in other places like Shildra, Grendon, Hart, Rok and several others. Perhaps I can write another series about those lands (and, no, the previously mentioned content is not about these lands). 5. Lastly, I dropped a very convoluted beginning that spent far too much time with Athson being alone and making long trips to and from Auguron City. That left him involved with no one so there was less dialogue. 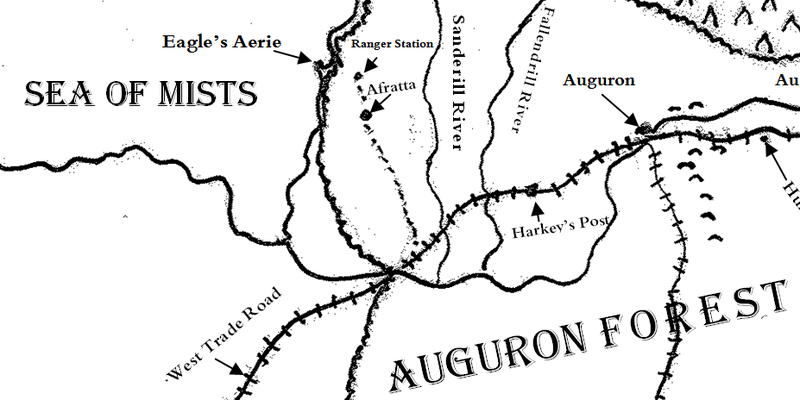 Also, it was just boring so I settled on pushing the reader directly into Athson’s confusing reality and a single, straight-forward journey to the city with Gweld while moving the ranger station further away and adding a few stops along the way for better context and plot development. So those are a few details that were cut, and generously so. I think it made the overall series better, more concise. 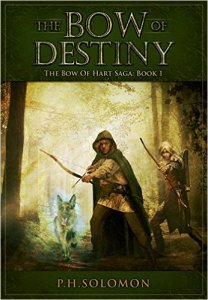 As a bonus, I can also share that I split the initial first book since it would have been far too long, shifted the title to the second book and developed The Bow of Destiny title. That took some doing but it worked. 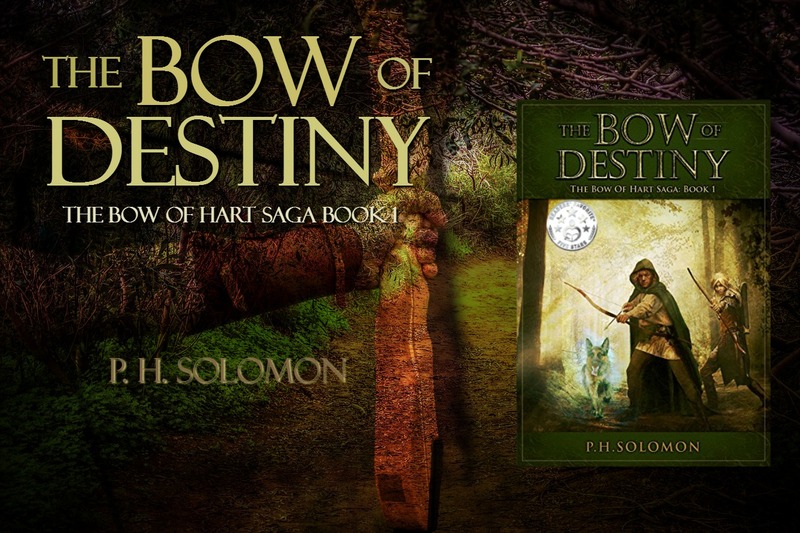 Next week, I’ll share more details I added, especially in The Bow of Destiny that made the book better in my opinion. Thanks for reading today. Please leave your questions and thoughts in the comments sections and I’ll reply as soon as I can! 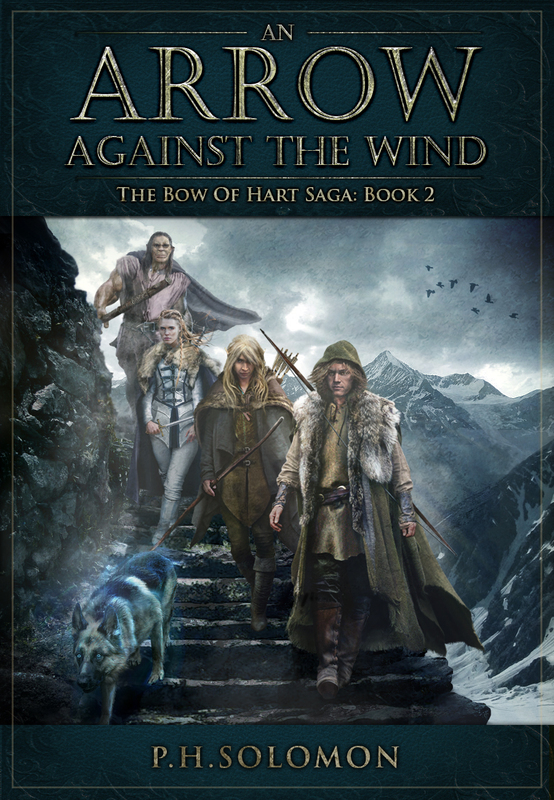 Find out more about The Bow of Hart Saga on the series page. I forgot to mention it last week but I completed the revision of An Arrow Against the Wind and sent it off to my editor to be given another gutting but it’s much closer to completion than it was. I don’t expect the next round of changes to be quite so messy and extensive so I’m sticking with a late April release date at this time. If that time-frame changes, I’ll post it here. I’ll try to be more specific when I know more about the status of the book. Since I’m approaching the release of An Arrow Against the Wind, I’m gathering interested supporters to be on the release team. This mainly means taking part in a Headtalker and a Thunderclap. The first 25-50 people interested will receive an advanced release copy of An Arrow Against the Wind. Anyone interested please contact me via email with your name, email address and e-book format you use. 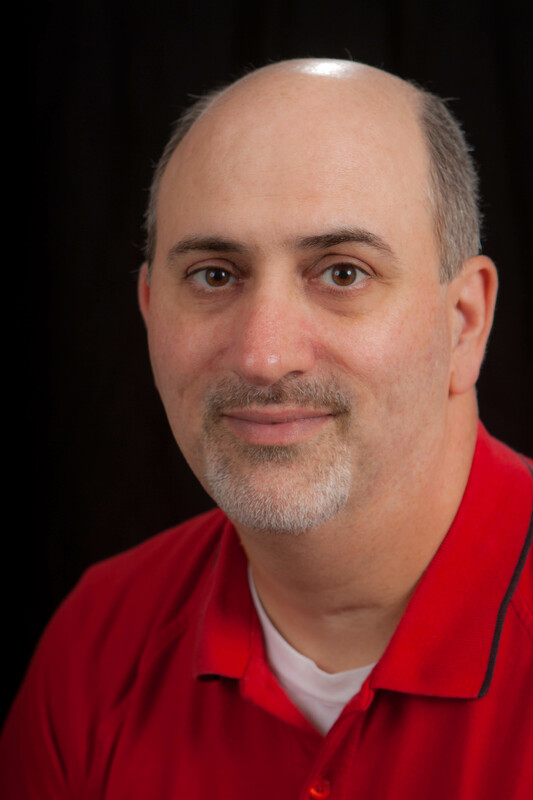 Check out my contact page for my email address. While An Arrow Against the Wind is with the editor, I’m working on the rough draft of the last book of The Bow of Hart Saga entitled, The White Arrow. I’m also beginning work on a couple of other projects including The Black Glove Tales and The Jeweled City Files, both of which are working series titles and not final. I’ve been posting on Story Empire with the latest piece being last week’s What Is Scrivener? I’m also interested in making some blog appearances now and around the release of An Arrow Against the Wind. I’m always making a list of sites so if you are looking for someone to be a guest on your site, just let me know and we’ll set something up. I’ve started a new commentary series lately about The Bow of Destiny where I’m sharing a few tidbits about the opening chapter of the book – here’s part 1 and part 2. That’s all for now. Thanks for reading today. Please leave comments below and check back next week for another post about this topic.